Endless Pools are a product designed for exercise in the water that is more convenient that having a large swimming pool built in your garden or inside your home. It is small enough to fit in your home or office.The Endless Pool allows you to adjust the flow and allows you to swim or exercise in the same place. The current is broad and deep,and is suitable for all types of swimming skills and physical needs. It also lets you set the temperature precisely, based on preferencesand needs. An endless pool, uses a jet of water to make you swim in one place. It’s like a combination of treadmill and swimming pool.It can be used for aquatic exercise and physical therapy. 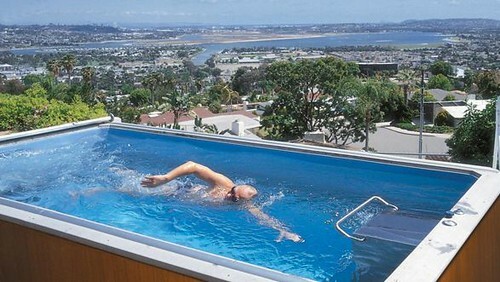 Either for a new pool or to modify an already built, the swimming exercise completely change the experience of using the swimming, you really can now swim in the pool at his home in endlessly. Where to buy a swimming pool or exercise endless? How the Endless Pool Works ? Endless Pool achieves this through a special propelling system that can measure anywhere from 7 to 10 feet long and up to 6 feet deep. The pool shoots out a current of water in the front end that’s designed to go around your body but offers varying resistance levels, depending on the speed setting. The current is wider than your body and deeper than your swimming stroke, so you are sure to get resistance. The 16-inch propeller is driven by a hydraulic motor powerful enough to cycle 5,000 gallons of water per minute. According to the Endless Pool website, it’s like swimming in a river. 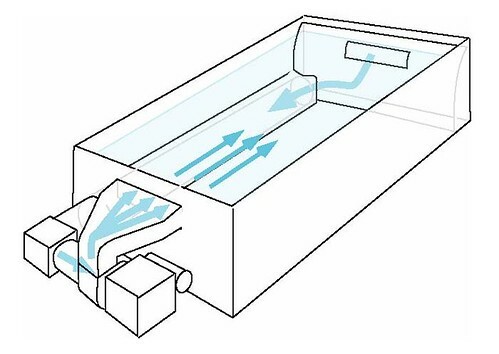 When the water is pushed toward the back of the endless pool, it drops down into a receded channel that has two special grills at either corner. When the current pushes the water past your body and into the recessions, the water funnels toward the front of the pool. There are special dividers in the front corners of the pool that channel the water toward a fan at the base. Additional channeling dividers help the fan guide the water straight up into the hydraulic pump, which starts the process all over again. 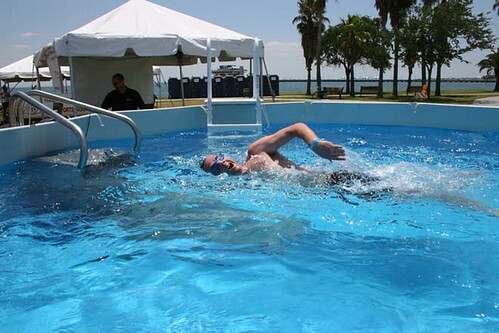 The current of the endless pool is wide and deep, and is suitable for all types of swimming skills and physical needs. It also lets you set the temperature precisely, based on preferences and needs. The current generated by this free flowing pool of turbulence or bubbles filled with air, giving maximum benefit to the effort of the swimmer. These pools come in many sizes. Usually, they are 7 and 10 feet wide and between 12 and 16 feet long. The size maximum depth of 6 feet. 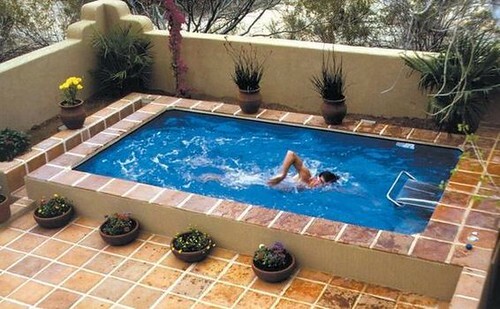 You can always call the factory and do an exercise pool to your desired size.